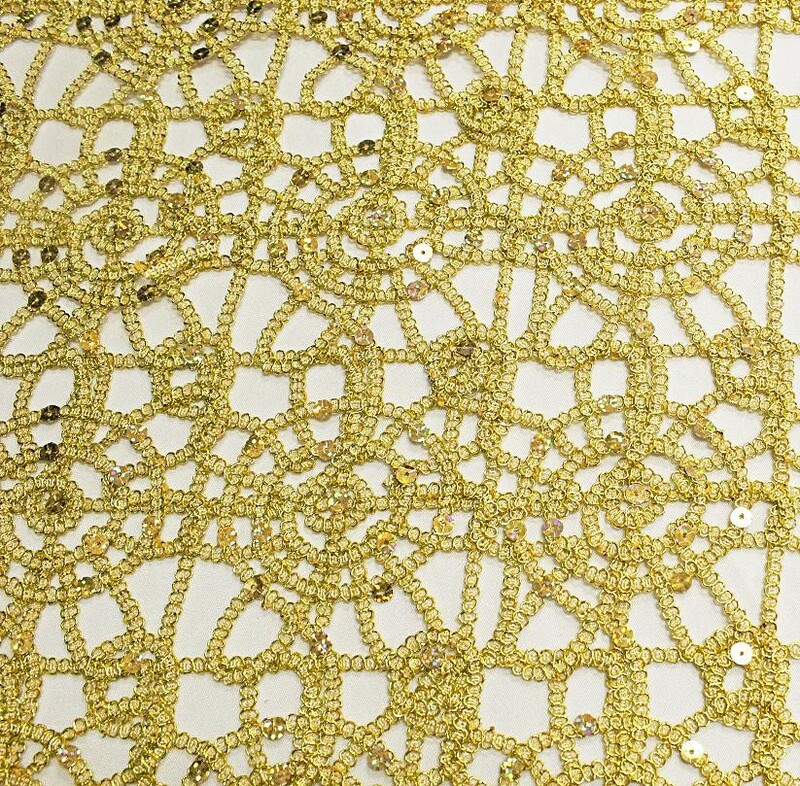 Gold embroidered lace covered in sequins. Gold embroidered lace covered in sequins. Comes in Runner as well as 90 sq Overlays.